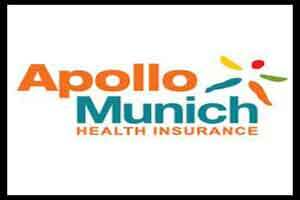 Apollo Munich Health Insurance has launched critical advantage, a critical illness rider to offer additional benefit to its policy holders. The insurance cover for treatment for eight illnesses abroad, and in addition, will also provide cover for travel and accommodation of one family member. This is addition to the insured on cashless basis. The easy Health and Optima Restore customers with Apollo Munich can avail the critical advantage rider (if they hold a sum insured of Rs 10 lakh or more). It will help in mitigating specific ailment costs that they would want to get treated at medical facilities outside India. Illnesses covered under the rider includes neurosurgery, cancer, coronary artery bypass surgery, heart valve replacement and repair, live donor organ transplant, pulmonary artery graft surgery, aorta graft surgery and bone marrow transplant. As reported by Hansindia, the critical advantage rider is offered on an individual basis and has two variants – $2.5 lakh(nearly Rs 1.5 crore) and $5 lakh (about Rs 3 crore). “There are some instances when Indians choose to travel abroad for medical treatment and the costs associated with medical care, as well as travel, and accommodation for the accompanying family members is a big concern.